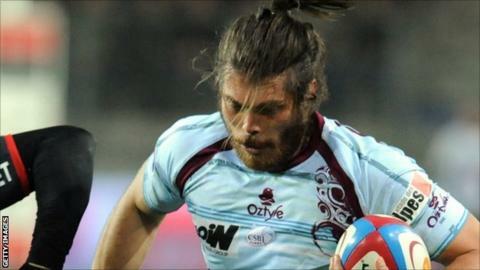 Leicester Tigers have confirmed the signing of forward Wessel Jooste from French club Bourgoin. The 31-year-old, who has been capped by South Africa at Under-19 and Under-21 level, made 179 appearances in seven seasons with Bourgoin. Tigers director of rugby Richard Cockerill said: "He has played a lot of his rugby in France and has also captained Bourgoin. "We believe he will be a good signing and will complement the other guys." The 31-year-old made his Tigers debut as a replacement in Monday's Premiership 'A' League fixture against Gloucester. "Wessel is a big man, a good ball carrier and can play right across the back row and in the second row," added Cockerill.